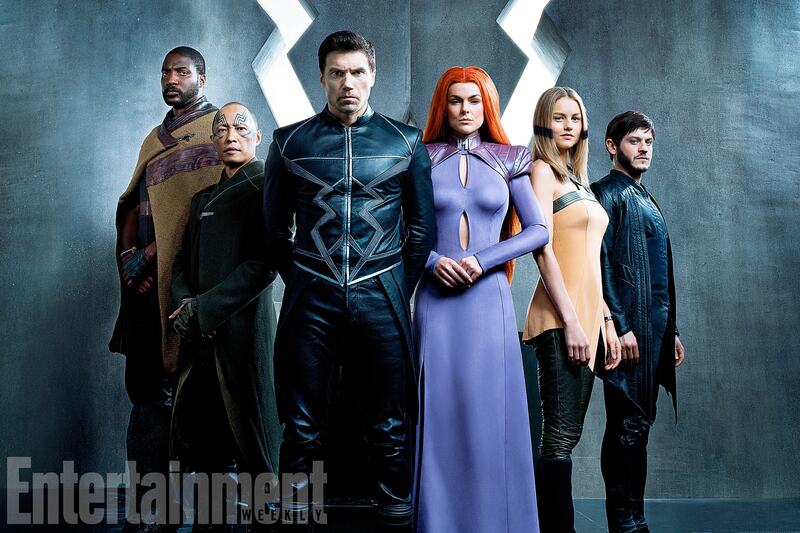 Earlier today, we finally got our first official look at the main cast members of Marvel’s Inhumans TV series in full costume as The Royal Family. Each of these unique characters should prove to be a challenge to play for various different reasons, but Anson Mount is definitely going to have the toughest job portraying the all but completely silent Black Bolt, who’s capable of levelling an entire city block by uttering a single word in the comics. It’s a little bit difficult to write him, because Black Bolt does not speak, but yet he is our hero and he is the center of the show, so it does certainly present challenges in how you tell his story, but fortunately we came up with a really good story. Anson is terrific. I think everyone’s going to be very pleased and excited by his Black Bolt. We’re not doing voice over. If you read the comics, you see Black Bolt does find a way to communicate to people, but he’s also a very enigmatic character as well, and he keeps a lot inside. That’s part of what’s so fascinating about him is that a lot of times, we don’t know what he’s thinking. Earlier on in the interview, Buck reveals that Black Bolt will use sign language, but here he also suggests that the character will use his preferred method of communication from the source material, which is actually telepathy. Either way, we can probably expect Mount to play the Inhuman King as mostly mute… until he loses his temper, that is. Marvel’s Inhumans will premiere on ABC sometime this fall, following its IMAX premiere on September 1st. It’ll be comprised of eight episodes in total.